"St Louis Finest Modern Auto Court - Hot Water Heat - Insulated Rooms - Innerspring Mattresses - Only 15 minutes from downtown St Louis." 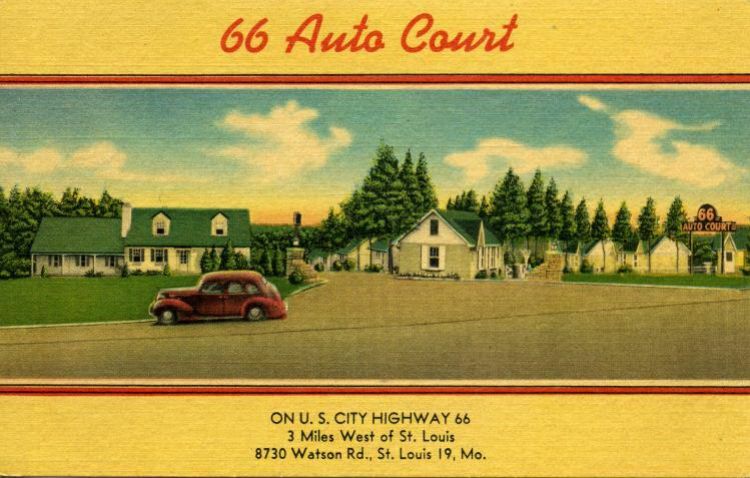 The 66 Auto Court consisted of two unit stucco bungalows arranged in a semi circle around the driveway. They were unusual in that there were entrances in both the front and back.